People who have built their careers and started a family usually think about buying a property, while young people who have recently left their parents’ home mostly opt for renting an apartment. Buying a house is an important financial decision, but it doesn’t work for everyone. Some people are just better off renting an apartment than purchasing one. Each decision comes with certain advantages and disadvantages, so make sure to weigh them in order to decide which option suits you best. – If you know for sure that you will be moving house soon there’s no point in purchasing a property that you will have to sell as soon as you decide to move out. Also, if you are not ready to settle down, owning a house or apartment would be just an obstacle for you to travel the world and suddenly move to any part of the world that seems attractive at the moment. People who change jobs often are likely to rent, since buying and selling a property takes more time and money. – As a tenant, you don’t have to sustain home maintenance and repair costs. In case any of the household appliances breaks down, all you need to do is to contact your landlord who should have the appliances fixed. – Most rented houses and apartments are furnished so you don’t have to spend more money and time buying furniture. – As a tenant, you are not qualified for any kind of tax deductions. – Depending on a current real estate situation, your landlord may decide to change rental contract terms, which means that your rent may go up after a couple of months. – Renters face more uncertainty since their landlords’ decisions affect them directly. If a landlord decides to sell the property you are currently renting, you will be forced to move out within the predefined notice. – You can invest some money into home improvement projects without asking your landlord for permission. As a homeowner, you have a full control over housing costs. – Some homeowners are eligible for tax benefits (federal tax deductions). – Buying a property will help you settle down and make you feel like part of a community. – If buying a house is your life goal, but you are not sure whether you can afford it at the moment, talk with the experts who will advise you on how to make an efficient savings plan. 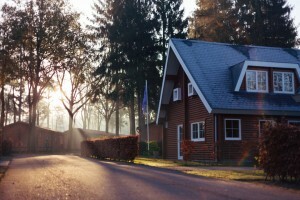 – Owning a house is associated with a lot of expenses. House maintenance should be added to the list of household expenditures. Remember, the longer you ignore the problem, the worse it will get eventually. – Deciding to buy a property means a long-term commitment. Are you ready for such an important step in your life? – Unless you are completely sure that you can afford the house and its maintenance you shouldn’t go down that road. Bad credit score is an indicator that you are not eligible for a loan. Should you move into a recently built home? How to live in New York on a budget?